In totalitarian states, it is not unusual to see public officials mouth official slogans and mantras that they do not fully believe in. It’s part of the kabuki dance required to maintain the status quo ideology that undergirds the entire polity. In democracies, there is, of course, no threat of physical coercion or imprisonment or torture or assassination if someone actually speaks truth to power, or simply speaks their mind. There is merely a reverse impulse against truth-telling: ambition. And since Robert Bork testified honestly in front of the Senate, and was effectively hounded from smeared by Ted Kennedy for doing so, no appointee has said anything but the minimal amount of horseshit to survive the process. Nomination hearings are a farce, an orchestrated dance of deception and banality, signifying nothing but grease on the political pole. Hers was, to put it mildly, a supremely chameleon-like performance. In addressing Wyoming senator John Barrasso’s anxieties about recent UN efforts to forge a treaty on the international trade in small arms and the effect it might have on the virtually unfettered right of U.S. citizens to own rifles and pistols, Power was quick to concur that the Second Amendment was sacrosanct. On Israel, about which in some of her earlier journalism she had been somewhat critical, Power’s testimony was, to the senators’ evident satisfaction, so stridently one-sided as to be almost wholly indistinguishable from the talking points of Israeli diplomats. Power conceded at the hearing that her “perspective” on a number of important questions had been changed by “serving in the executive branch.” But whatever her real views now are, they were nowhere in evidence either in her prepared statement or in her responses to senators’ questions. Senate hearings are, effectively, a tragicomedy of vacuity. 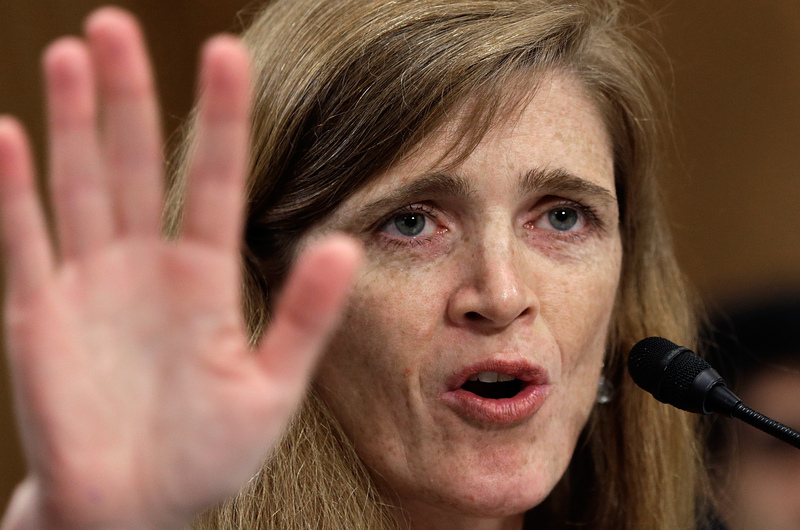 But boy, did Samantha Power know her part well.